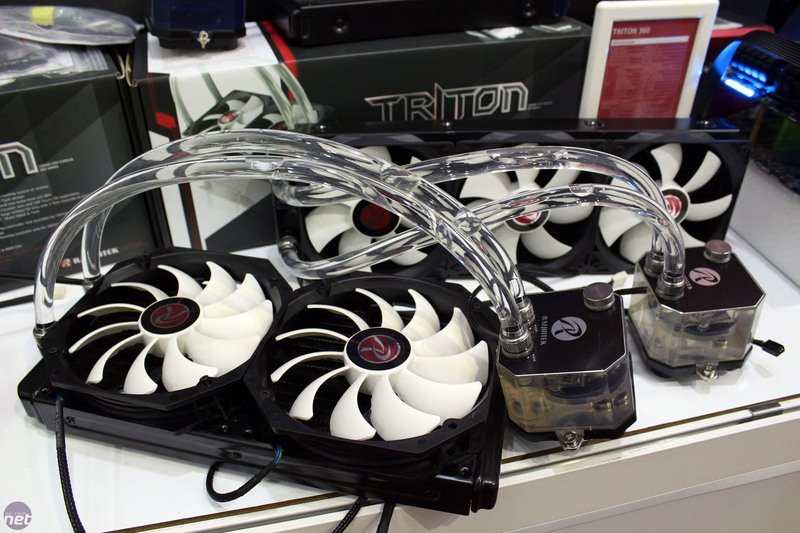 Raijintek's Triton cooler has proven very popular and will now be seeing a release in 120mm, 140mm, 280mm and 360mm versions. 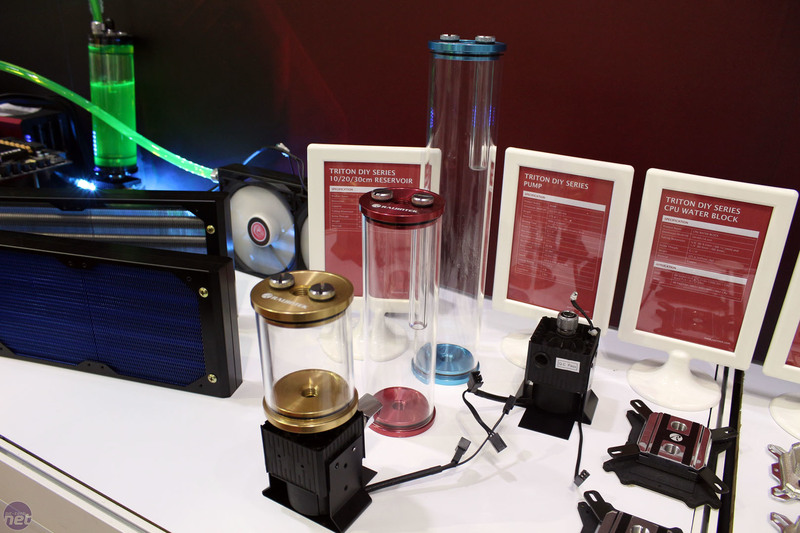 Like Cooler Master, Raijintek is also entering the custom water-cooling market with its DIY Series of radiators, pumps, reservoirs, coolant, fittings and so on. The radiators shown off have an aluminium cover but are all copper inside, and the fins are painted for extra pizazz – there will be a large variety of colours available. 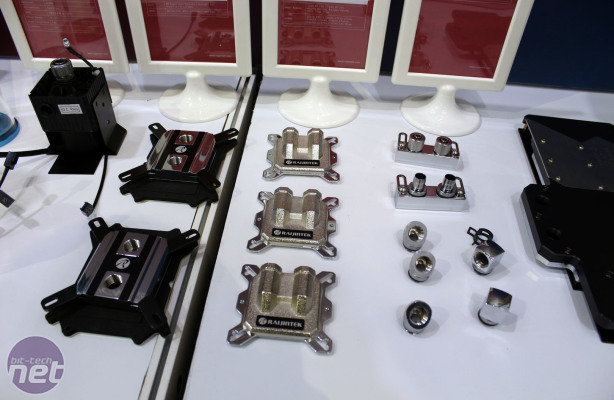 It has also promised to offer a pump capable of high flow rates at low noise as well as quality CPU blocks and other bits and pieces as shown, including flexible and hardline acryllic tubing. 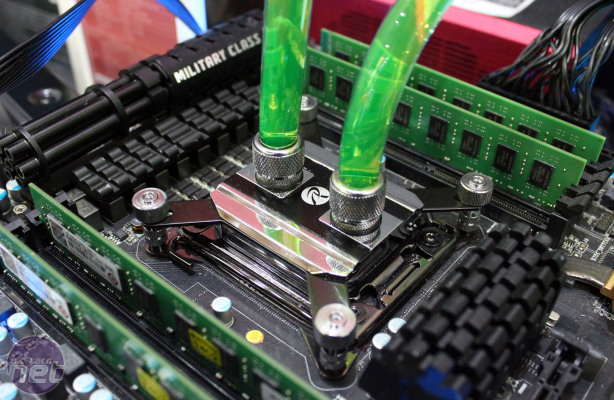 Raijintek also said it wants to move away from the idea of graphics waterblocks that only work for one or a small selection of graphics cards, as these are wasteful of materials. 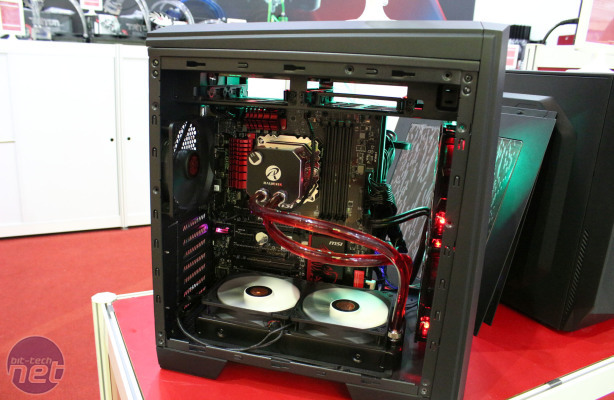 Instead, it is suggesting universal cooling solutions, offering waterblocks suitable for GPUs and MOSFETs as well as specially angled fittings. It's also working on a solution to cool memory chips but admitted this may be difficult. Still, with graphics cards soon to feature HBM which will have the GPU and memory on the same package, cooling GDDR5 chips will no longer be necessary. 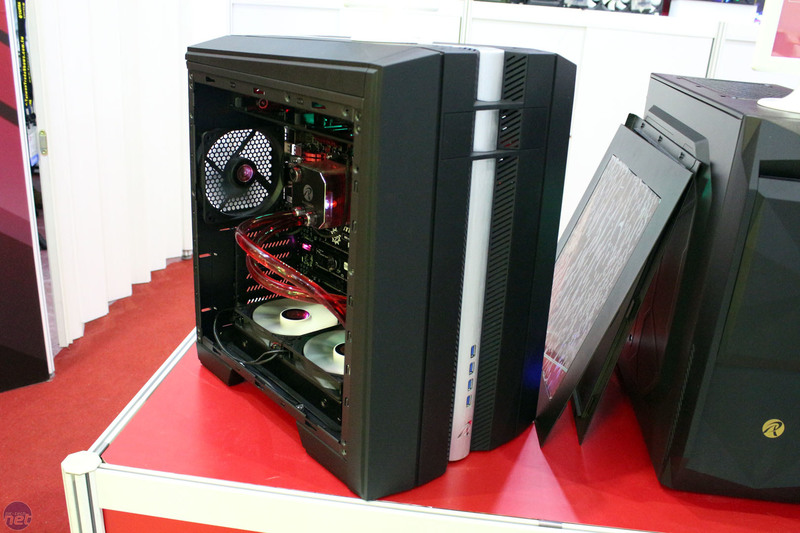 In terms of cases, the Styx was shown off and is effectively the micro-ATX version of the Metis. Available again in many different colours and with a lovely aluminium exterior, it has room for 280mm graphics cards and 180mm CPU coolers despite being compact. 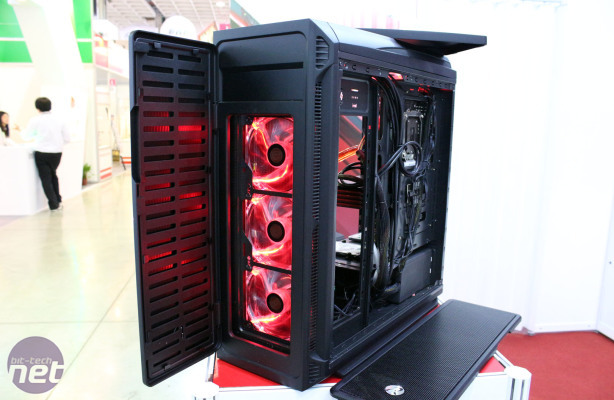 It comes with just one fan but will have room for many more as well as 240mm radiators in the roof and on the side (at least when using the non-windowed version). 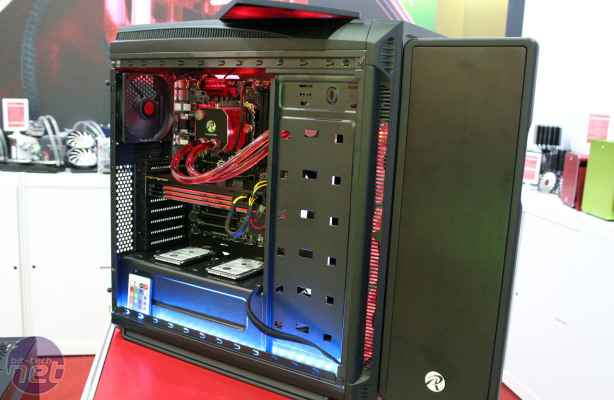 It is expected to retail for about £55-60 when it launches soon after Computex. 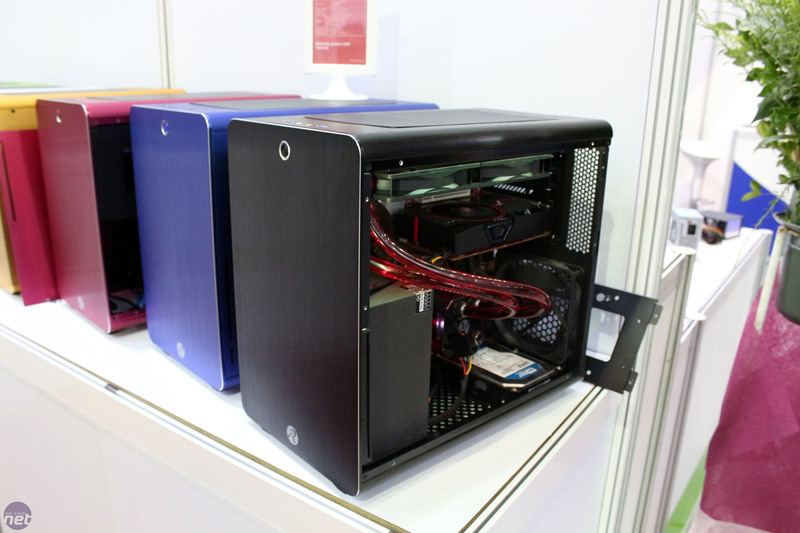 There's also the Cratus, Raijintek's answer to the NZXT H440 that should be significantly cheaper (around 110 Euros). It has a solid front door but a mesh replacement front panel will also be sold. Internally there's a PSU cover and PWM fan hub too, and optical drive support is actually maintained as well as front 360mm radiator support. 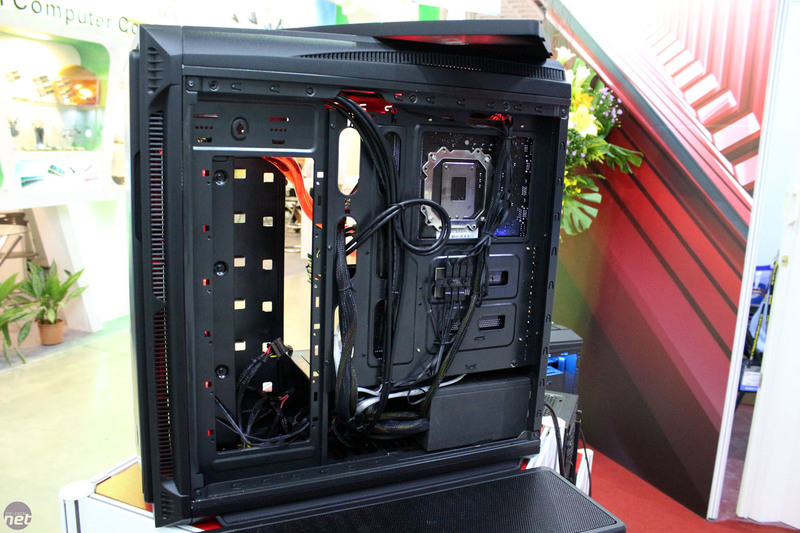 The last case is the Cronos, a dual chamber chassis with room for numerous 240mm radiators and a clean interior design thanks to the PSU, drives and cabling all being hidden behind the motherboard tray, much like Corsair's Carbide Air 540. 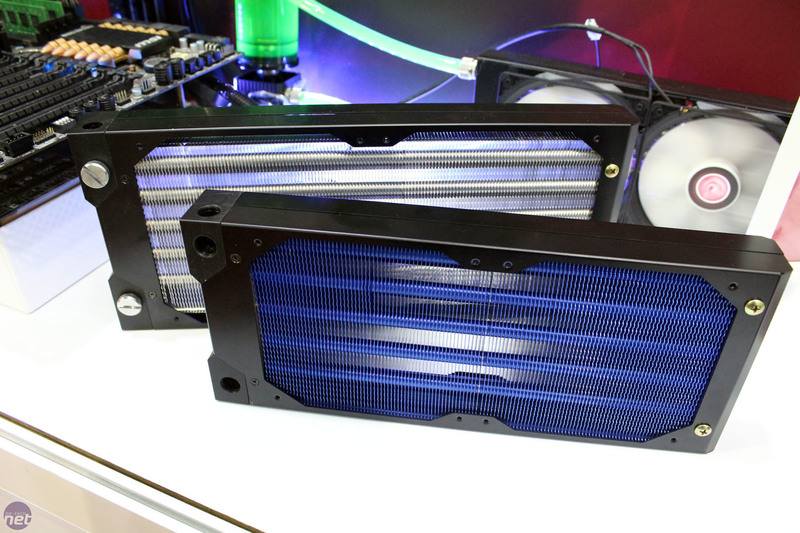 Finally, Raijintek also teased some upcoming cooler products which we can't show you due to their early design stage. 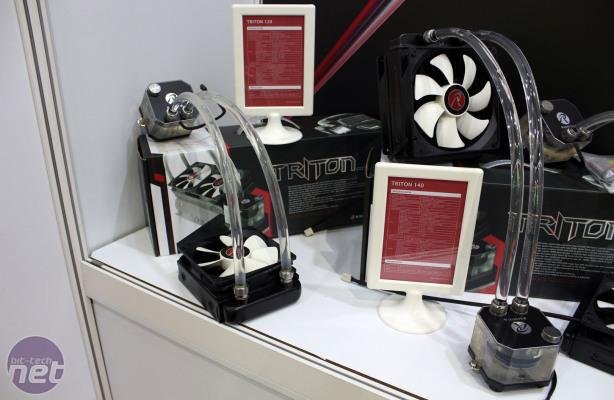 The Triton range is being redesigned (including all sizes) with a stronger pump for improved performance and expandability. 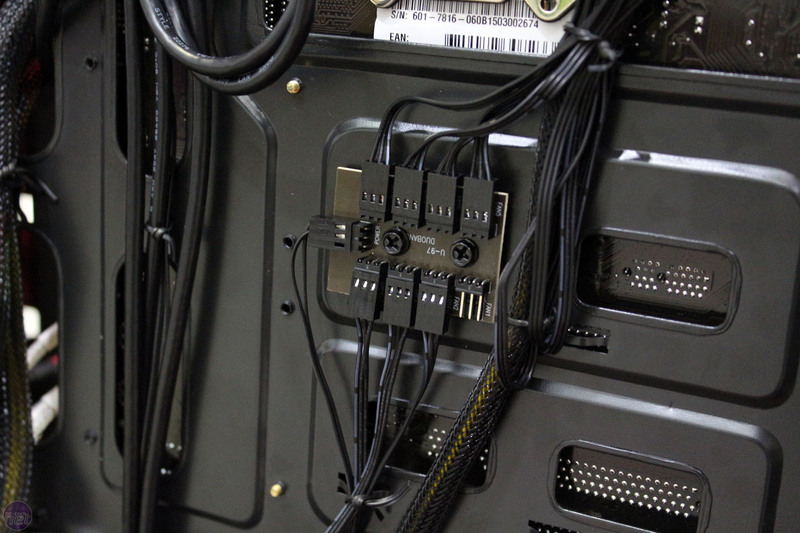 This should be ready in early August. A really interesting product was a pumpless all-in-one liquid cooler that works through evaporation and said to be capable of cooling up to 500W. It is designed more for servers, and as a result it will be rather noisy. 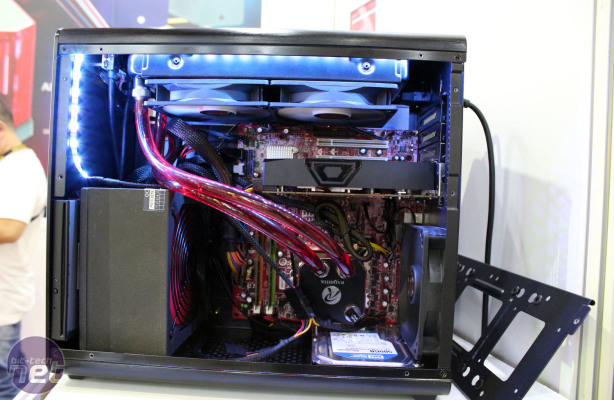 It is not expandable either as it needs to be sealed under a vacuum. 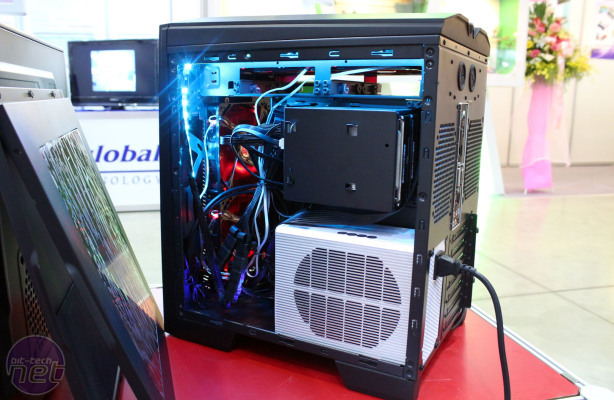 It is likely to see a launch at CES 2016.